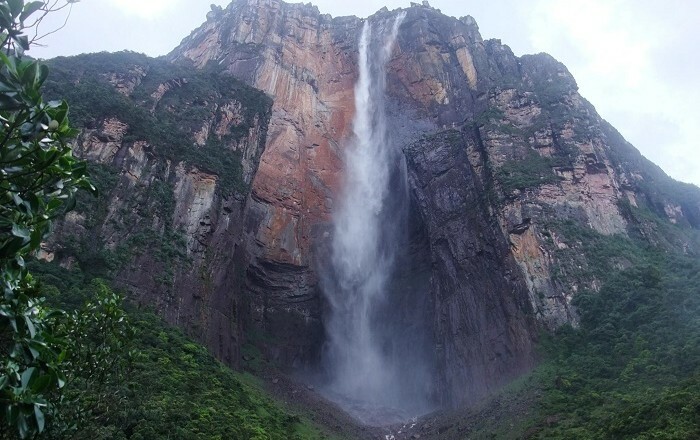 Angel Falls is the world’s highest uninterrupted waterfall located in the Canaima National Park, in the Bolivarian Republic of Venezuela.As they are the highest waterfalls in the world, their height is measured to 979 metres (3,212 feet) with a plunge of 807 metres (2,648 feet). 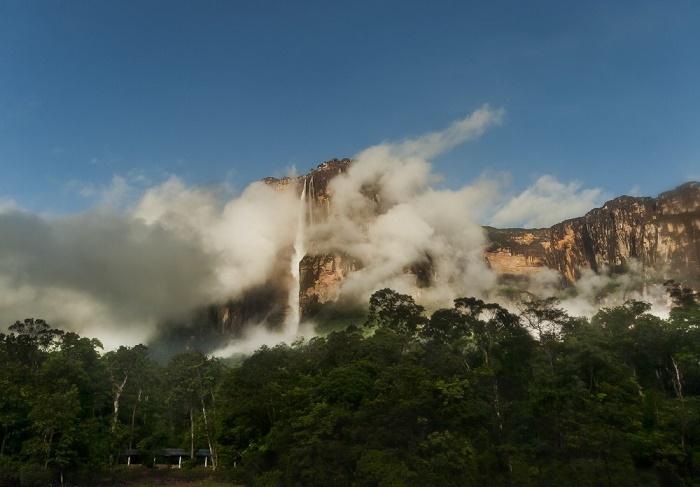 The waterfall drops over the edge of the Auyantepui mountain, from the Orinco River (alternatively known as the Kerep River or Kerepacupai), which flows into the Churun River, a tributary of the Carrao River. 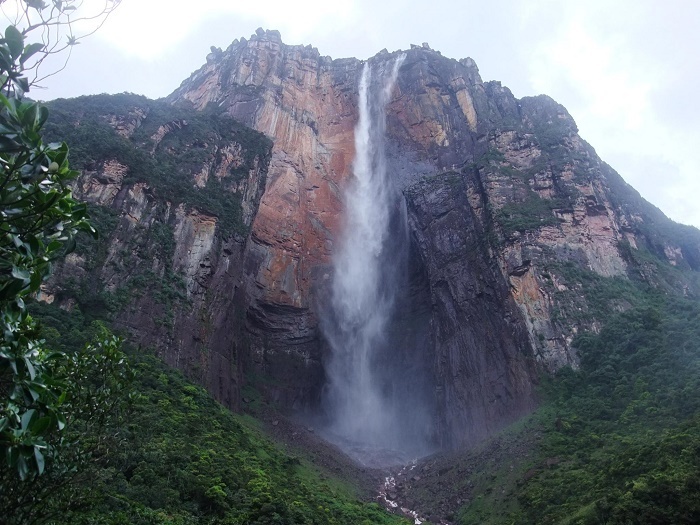 Located in the Guayana highlands, Angel Falls is 15 times higher than Niagara Falls. This fall got its name for Jimmy Angel, an adventurous pilot from Missouri, United States, who flew to the air circus Lindberg. James Crawford Angel (Jimmy Angel) is a modern legend. He saw the waterfall for the first time in 1933 with his partner while searching for the legendary McCracken River of Gold, or the Golden City. 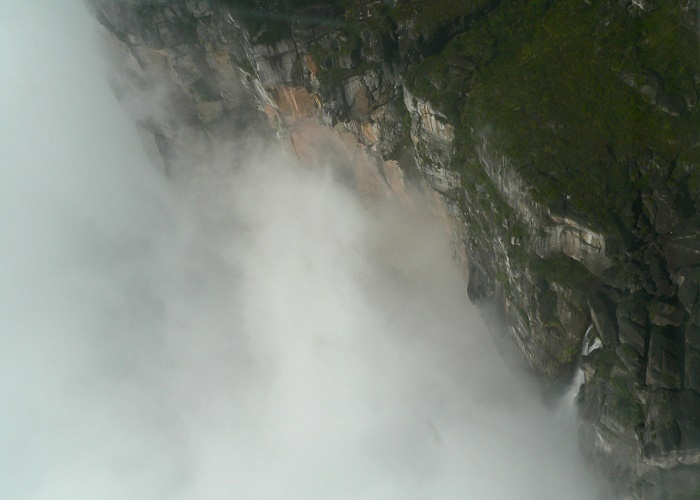 James returned again in 1937 with his wife and his friend Gustavo Henry Gardener where they had an emergency landing on top of the Auyantepuy. 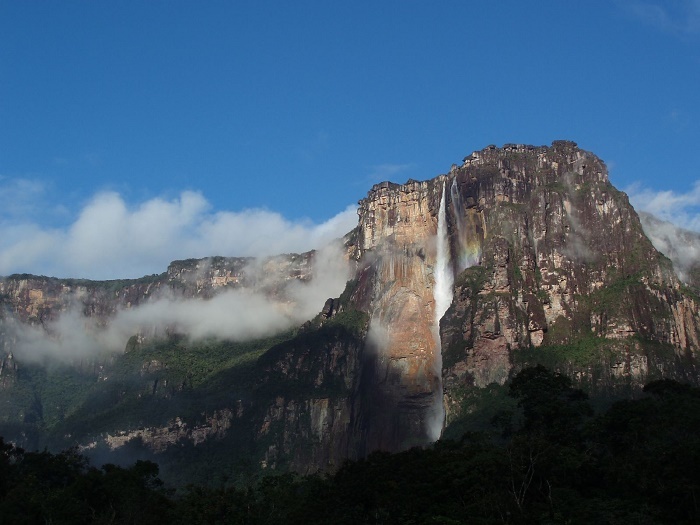 The aircraft was able to reach safely to the top of the Tepuy and stayed there for 33 years until it was taken down by a helicopter. 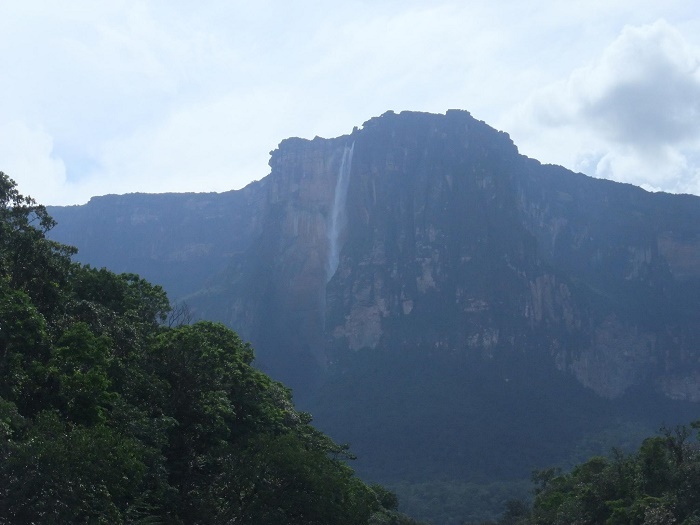 Jimmy Angel and his three companions managed to descend from Tepuy and return to the civilization walking through the jungle for 11 days. Angel’s plane is currently in the Aviation Museum in Maracay, and nowadays on top of the Auyantepuy you will find a replica of Jimmys airplane. 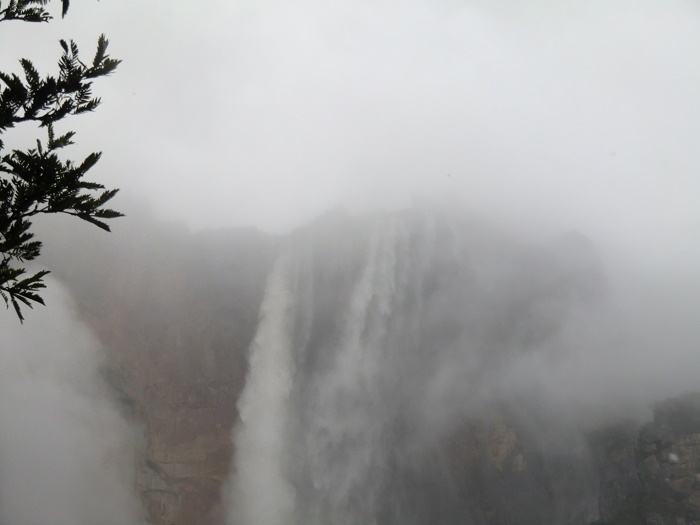 Interestingly enough, the first person of European descent to reach the base of the falls is the Latvian explorer Aleksandrs Laime, who reached the falls in 1946 by himself. 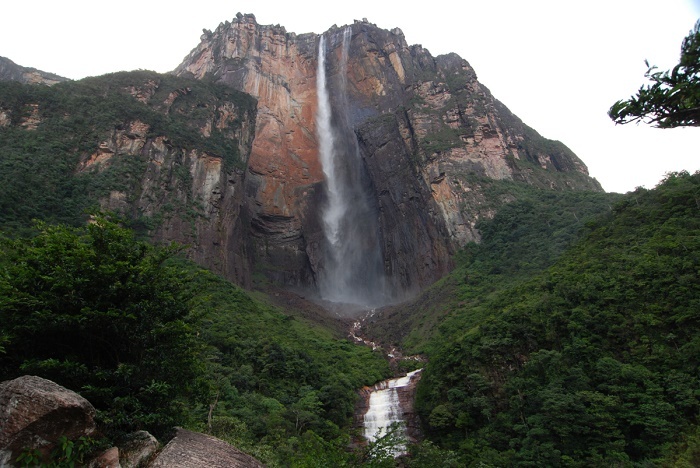 He was the first to reach the upper side of falls in the late 1950s, by climbing on the back side where the slope is not vertical. He also reached Angel’s plane 18 years after the crash landing. On 18 November 1955, Latvian independence day, he announced to Venezuelan newspaper El Nacional that this stream without any known local name should be called after a Latvian river, Gauja. The same year, this name was registered in the National Cartographic Institution of Venezuela. 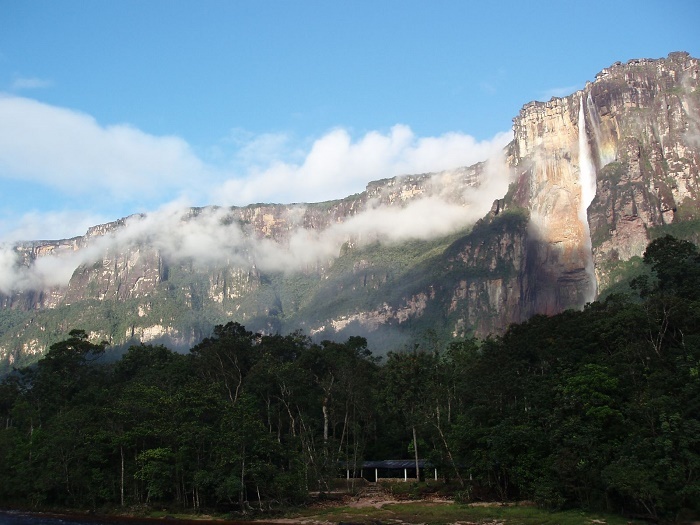 There are no convincing proofs that indigenous Pemon people had named the local streams, as Auyán-tepui was considered to be a dangerous place and was not visited by the indigenous people. However, lately the Pemon name Kerep is used as well. 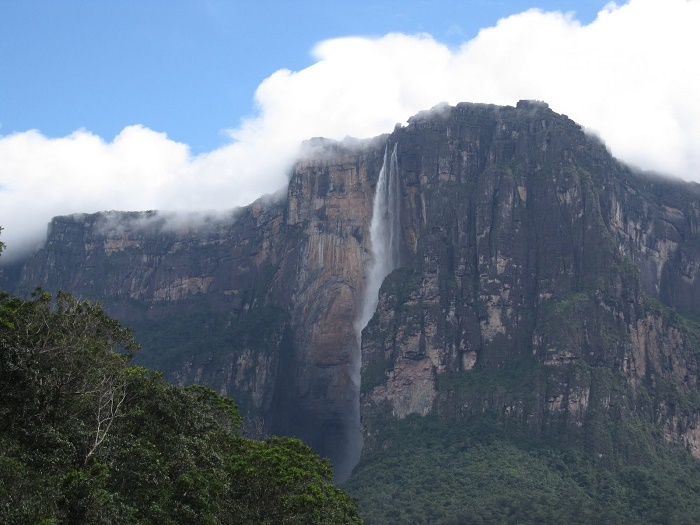 Today, the Angel Falls are truly Angelic since they are represented throughout the media and also in the movies. 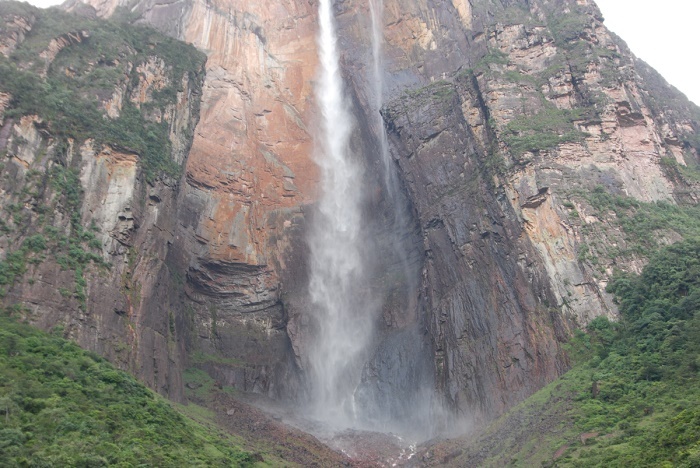 The most popular is the Disney movie Up from 2009, which even though the name of the falls was changed to Paradise Falls, still it was clear that that is Angel Falls.